The Ministry of Health, Seniors and Environment is observing HIV awareness month with additional free HIV tests. “Given the preventable nature of HIV and advances in HIV and Aids care, the ministry believes this vision is possible,” the spokesman said. “There have been less than ten new HIV infections reported each year for the past five years, and the latest statistics estimate that there are approximately 300 persons living with HIV in Bermuda. The spokesman added the Centres for Disease Control and Prevention and the World Health Organisation have recommended that screening for HIV infection should be performed routinely for all persons engaging in sexual behaviours and at least annually for persons likely to be at increased risk of HIV. 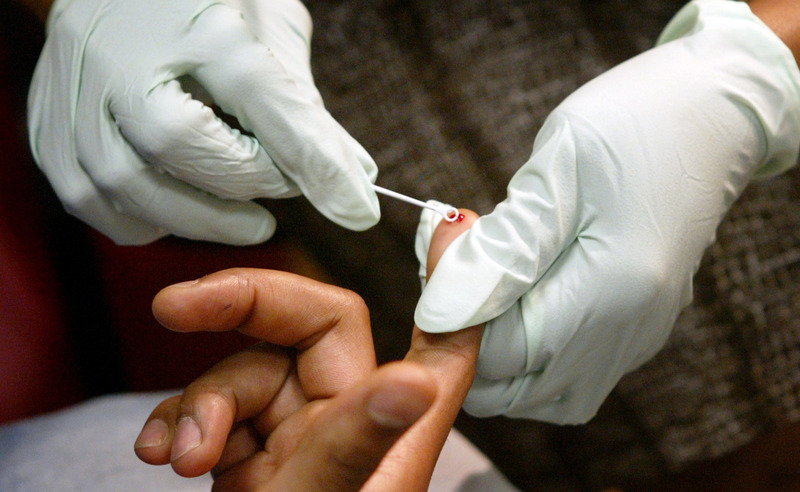 On June 12, the ministry will be offering mobile HIV testing at Wesley Square between 9.30am and 2pm. The event will also include entertainment and remarks from the Minister of Health, Seniors and Environment, Jeanne Atherden, and Carol Armstrong of Star. Meanwhile, on June 29, HIV testing day, the Hamilton Health Centre will be offering free and confidential HIV screening all day from 9.30am through 3pm, with lunchtime testing available. The aim of HIV testing day is to promote HIV testing as a routine and responsible way of taking charge of one’s sexual health. As usual, free and confidential HIV testing will be offered from Monday to Thursday at the Hamilton Health Centre. The public is encouraged to get tested on this day and to discuss the importance of HIV testing with their friends, family members, colleagues and healthcare providers. Throughout this month people are encouraged to wear selected items of red clothing — shoes, belts, shirts, etc — and to use social media — #RockRedBDA — to demonstrate their support of “getting to zero”. Stores are invited to display posters and display red items to promote #RockRedBDA and nightclub establishments will be invited to place cling stickers on their mirrors to encourage people to get tested. • For more information, and for access to posters and cling stickers please email healthpromotion@gov.bm. • For the full ministerial statement, click on the PDF link under “Related Media”.